Homeland Security Secretary Kirstjen Nielsen is scheduled to visit McAllen Thursday. Border Patrol spokesman Carlos Diaz said the 50 migrants were given notices to appear in court and released to Catholic Charities of the Rio Grande Valley, which operates a local respite center. 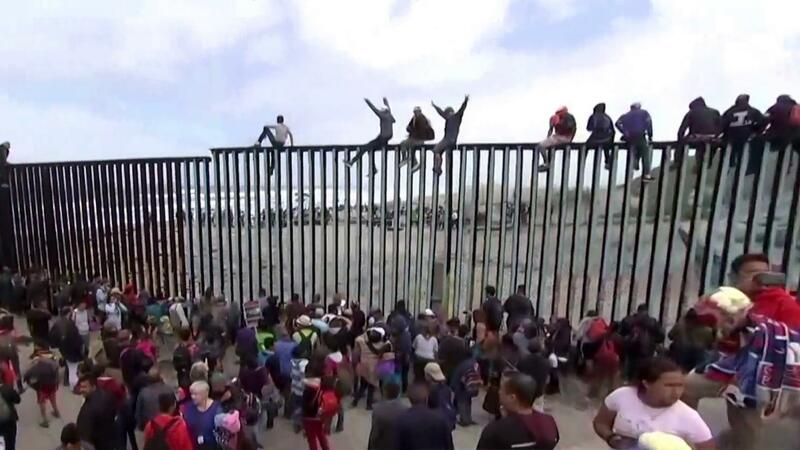 He said 200 more migrants would be released to the center Wednesday. The respite center is already at capacity, with 900 migrants spread between the main facility and a temporary site opened this week. The Border Patrol has been moving 700 to 800 migrants a day to ICE over the last week. But that was 300 a day less than the Border Patrol wanted to transfer. As a result, the Border Patrol’s Central Processing Center in McAllen quickly filled, leading to the release this week. Another possible factor in the release is that the agency has been under pressure to improve conditions for migrants since two Guatemalan children died in its custody in December. Before the release of migrants Tuesday, the Border Patrol official said his agency notified McAllen Mayor Jim Darling and Catholic Charities of the Rio Grande Valley.